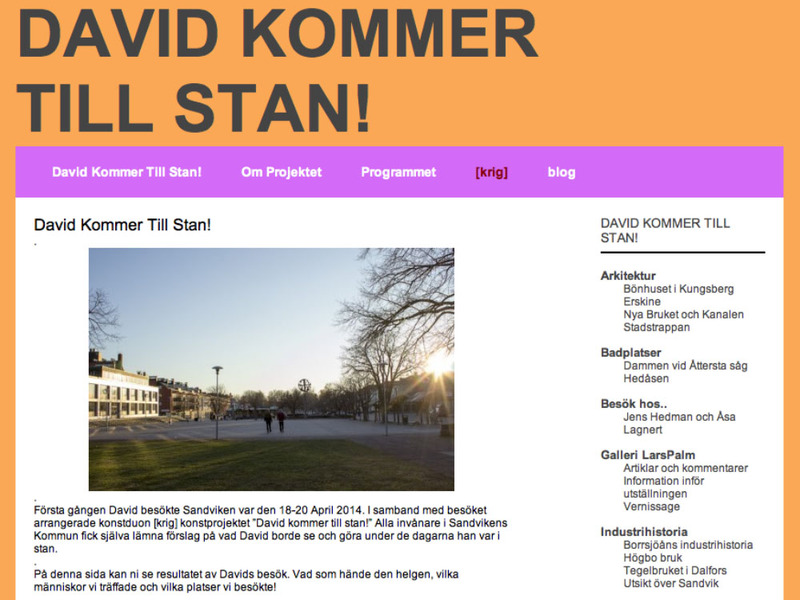 This project started when David was invited to visit Sandviken by [krig]. At the same time, [krig] asked the citizens of Sandviken what they would like David to see during his journey. Posters announced Davids arrival in the city, and a box for the citizens suggestions, was placed at the library. Davids arrival was celebrated at Galleri Lars Palm with a dinner and talk about the town and the guests view on the city. 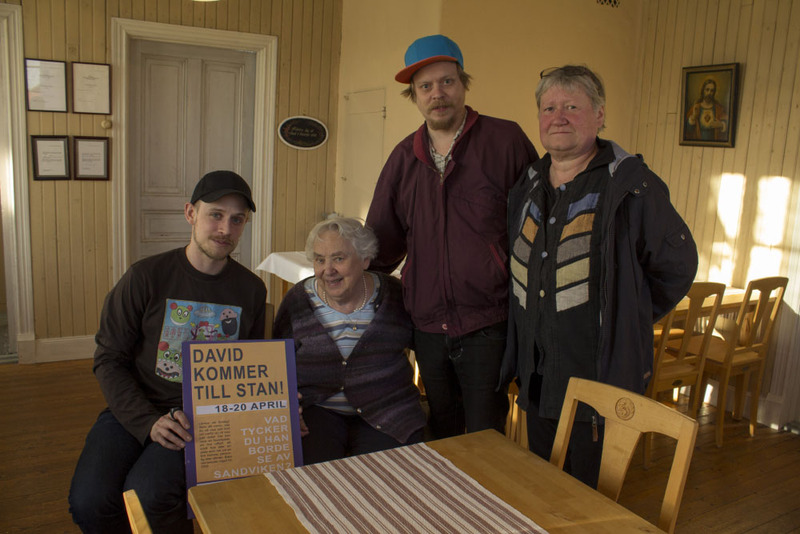 For the next two days, [krig] and David travelled around in the county to see what had been suggested by the inhabitants of Sandviken, but also to meet them and hear their story about the places. 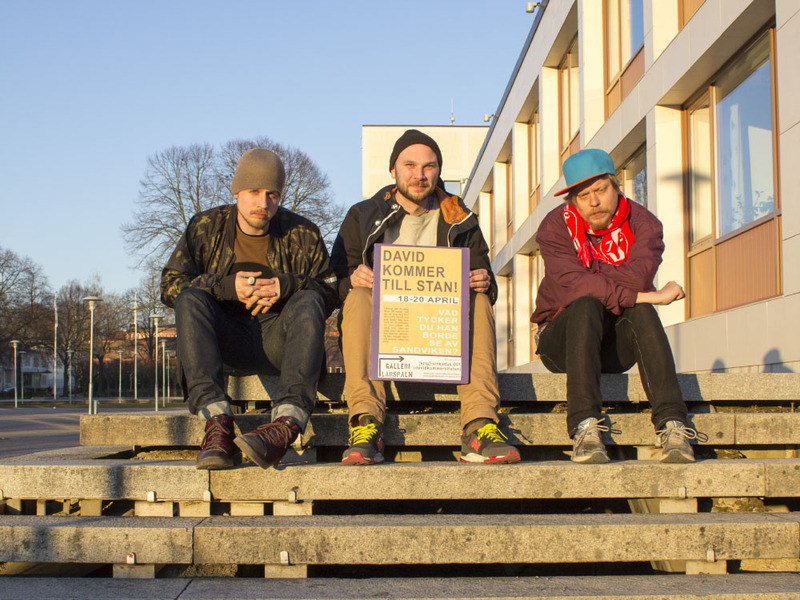 The result of the project is presented on a blog called “David comes to town”. The blog is also an unofficial tourist guide for the city, based on the experience of the project and the citizens’ proposals. Our goal was to highlight personal experiences and thoughts about Sandviken, as opposed to stories told by national media. 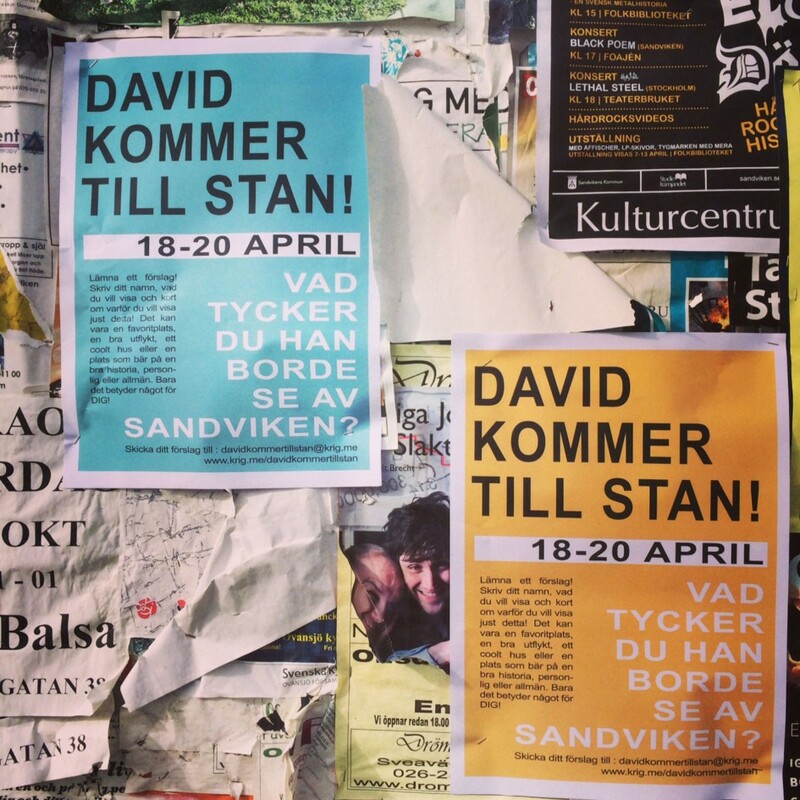 The project took place in Sandviken during easter, 2014. A social and time-based art project. 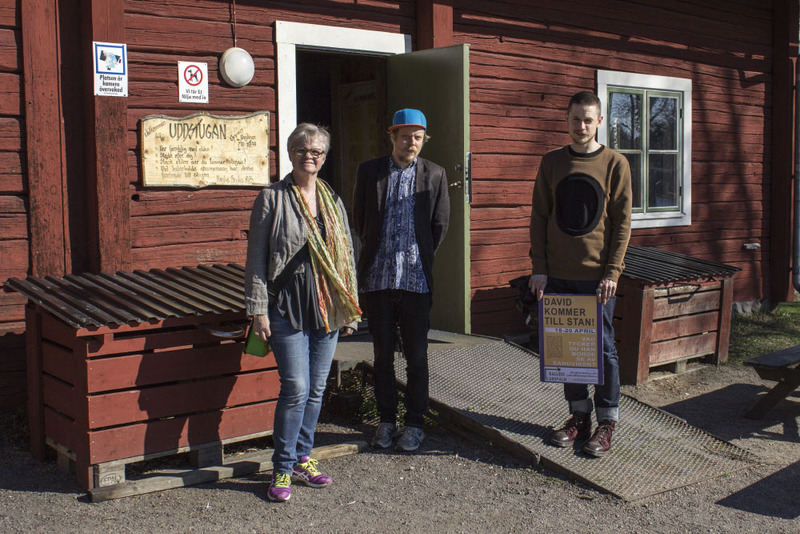 Carried out in Sandviken, 2014.